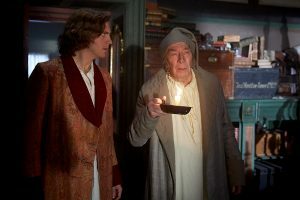 Bharat Nalluri’s film presents the making of the beloved children’s classic, Charles Dickens’ A Christmas Carol. Life events and a vivid imagination inspired Dickens to create timeless characters such as Ebenezer Scrooge and Tiny Tim. A fascinating insight into the author’s creative process as he attempts to win back the confidence of his publishers by writing a novel that would eventually breathe new life into an uninspired holiday season. 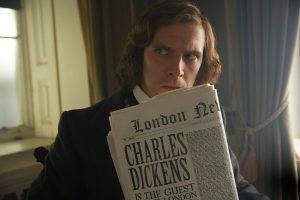 Dan Stevens gives a lively performance as Dickens. For this film we are showing Storybook Ending (3.35 mins), directed by Harry Holland. A little girl must find all her childhood friends before bedtime.